Tudor Stacks retirement housing scheme in London have celebrated Anchor’s 50th anniversary in style this week. 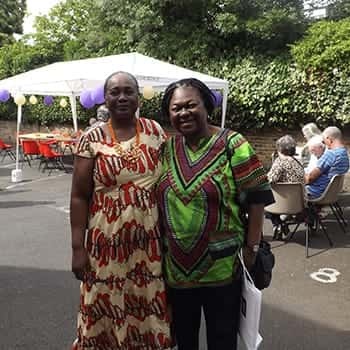 On the sunny June day residents were joined by members of the local community and the Chair of Camberwell Community Council, Councillor Dora Dixon-Fyle, MBE for the special party. Together they enjoyed food, an array of table top stalls including a raffle and crafts, and entertainment from a DJ. Scheme Manager Efua Amissah said: “We’ve all had such a great day celebrating Anchor’s 50th anniversary. For more information about Tudor stacks please call 0207 737 0172.